Organic kale, yoga mats, adult colouring-in books, active wear – the lifestyle accessories of our time. New found peace or a reaction to something darker? Yours Internally combines neon works by Kiron Robinson and videos by Grant Stevens in an exploration of the internalised experiences of doubt, insecurity, anxiety and uncertainty. 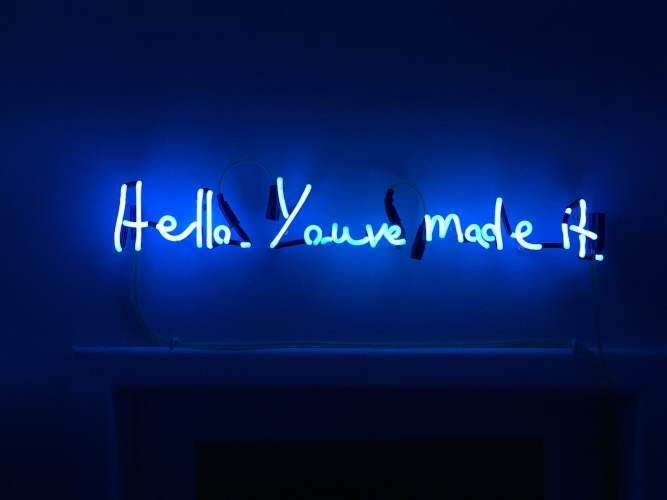 Kiron Robinson, Hello You've made it, 2015 neon. Courtesy of Sarah Scout Present (Melbourne).